1. Ecommerce Marketing Podcast - eCommerce Marketing Podcast covers the whole range of topics that make up eCommerce marketing. They feature experts in marketing to share their knowledge and top strategies for maximizing business growth. They cover both inbound and outbound marketing strategies designed to improve advertising conversion. 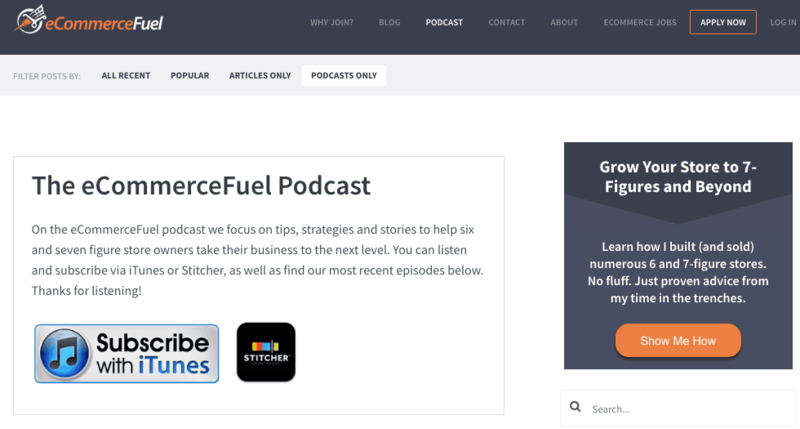 2. eCommerce Fuel Podcast - eCommerce Fuel Podcast is a unique community-driven site that is made up of more than 1000 highly successful merchants that have met the exclusive requirements for joining the group. To be a part of the exclusive club all merchants have to have built a 7-figure eCommerce business. 3. 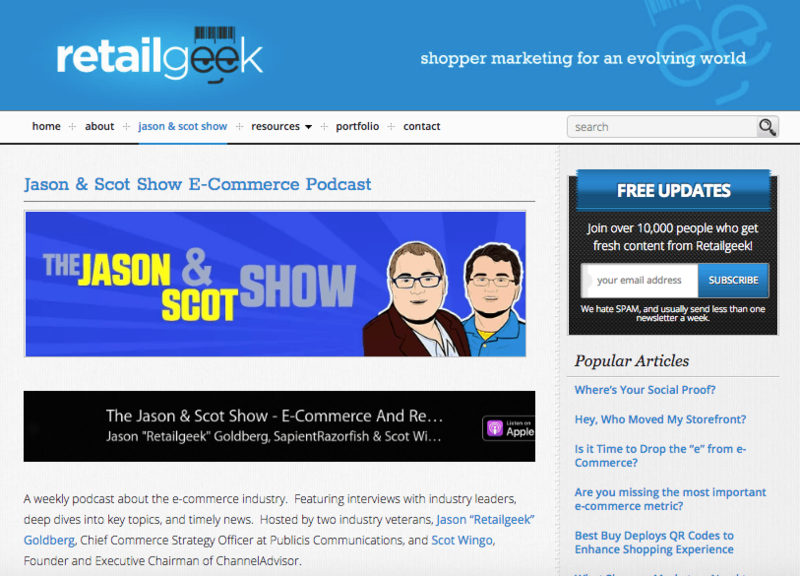 Jason & Scot Show eCommerce Podcast - The Jason & Scot eCommerce Podcast is a weekly podcast that covers the whole eCommerce marketing niche. The pair interview industry leaders in hopes to gain more insights for their followers covering a wide range of topics related to the eCommerce industry. Both Jason and Scott are longtime eCommerce veterans. 4. 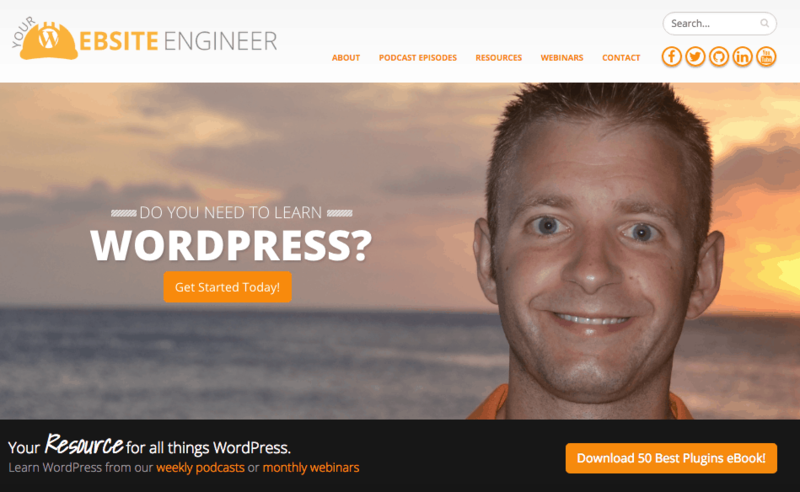 Your Website Engineer Podcast - Your Website Engineer Podcast is dedicated solely to help people learn how to use WordPress software. WordPress is universally recognized as the number one website building software available. This weekly podcast is updated with new topics every week to keep its content fresh and up to date. 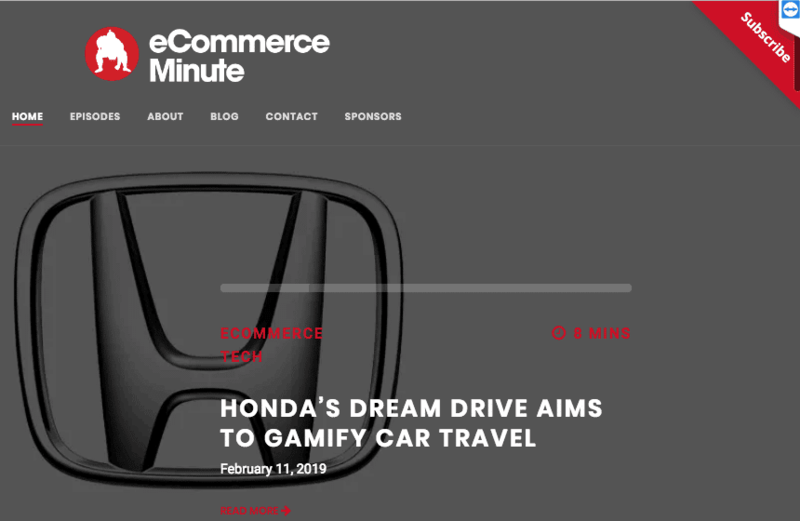 5. eCommerce Minute - eCommerce Minute is a daily podcast covering eCommerce, technology and retail news. The podcast is the property of Heavy Sumo, as digital design company located in Brooklyn, NY and Philadelphia, Penn. The podcast is the perfect way to learn about all things technology and branding through the use of technology. 6. The Take Traction Show - The Take Traction Show Podcast is dedicated to helping people become successful at eCommerce Marketing. They cover a wide range of topics that are all designed to educate their followers. Each podcast focuses on a unique topic that they are experts in. 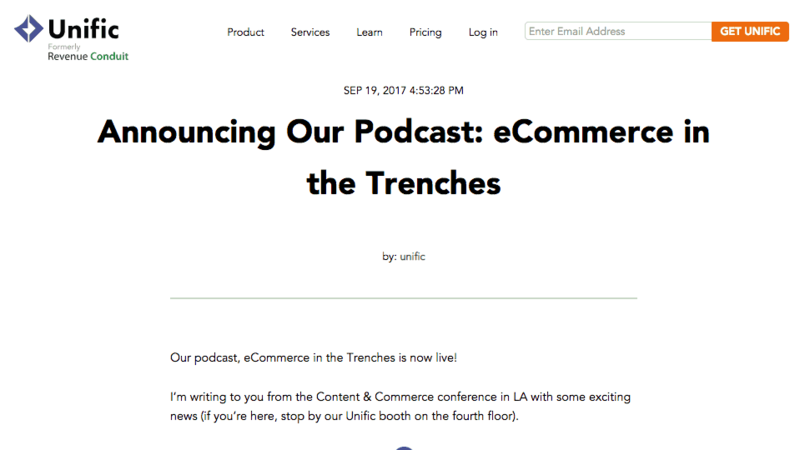 7. eCommerce in the Trenches - eCommerce in the Trenches Podcast is dedicated to helping the new and not so successful eCommerce merchants to be able to build or transform their eCommerce business into a success. By sharing time tested strategies with all of their followers they have built a strong following the eCommerce podcast industry. 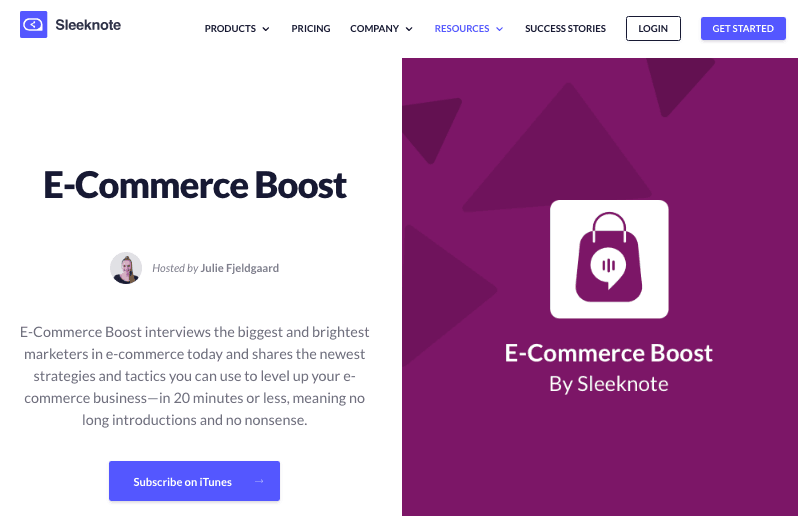 8. eCommerce Boost - eCommerce Boost Podcast is a very successful podcast that developed a great following by offering one on one interviews with some of the most successful eCommerce marketers. During each of the podcasts, the person being interviewed shared many of their most successful strategies. Each of their 20-minute podcasts is ad-free and jam-packed with valuable information. 9. Smart Passive Income Podcast - The Smart Passive Income Podcast is a unique website in that they focus mainly on helping their followers grow their online eCommerce business using passive income strategies. Each of the podcasts focuses on a different topic and the strategies that they share are ones that they have used successfully for years. 10. 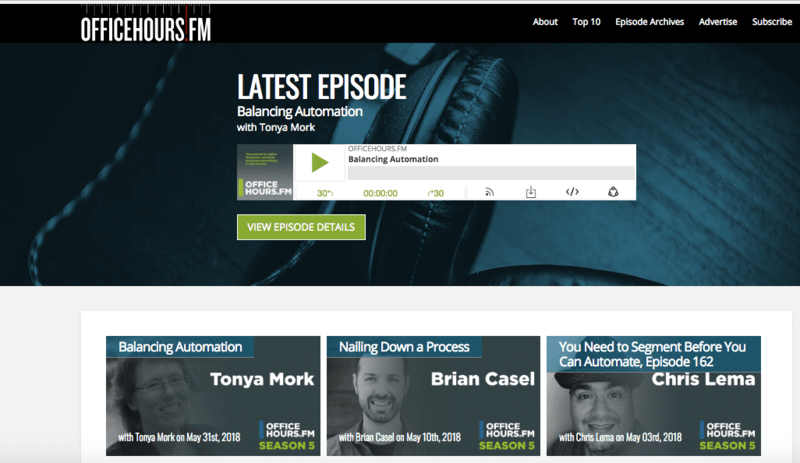 OfficeHours.FM Podcast - The OfficeHours.FM Podcast is a great resource for those marketers who prefer to use WordPress to build their websites. Using their expertise in WordPress they focus all of their individual podcasts to different aspects of marketing. With WordPress being one of the most powerful of all website building software, they have built a very strong following for their services. 11. Marketing Over Coffee Postcasts - The Marketing Over Coffee Podcast is a unique website in that they offer their followers powerful tips and tricks that cover many different marketing strategies. They chose to use a more conversational style in their podcasts in order to be more acceptable to their followers. 12. Shopify Masters Podcast - The Shopify Masters Podcast is a very successful podcast presented by Felix Thea. Since its launching Shopify has helped thousands of entrepreneurs achieve their goal of starting an online eCommerce business. Through this podcast, Felix Thea uses his vast knowledge of eCommerce marketing to help his followers improve their business. 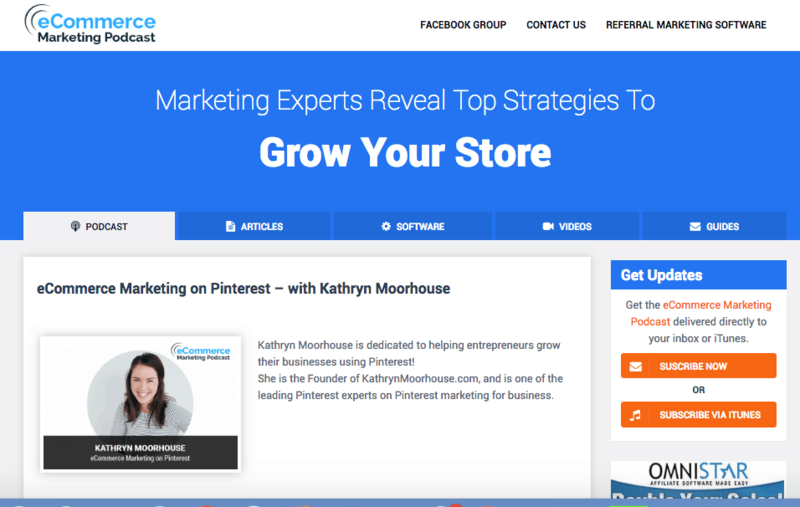 13. eCommerce Paradise Podcast - The eCommerce Paradise Podcast was established to help its followers set up and grow their own online eCommerce marketing business from the ground up. Each podcast episode covers a unique topic and features an experienced presenter with years of marketing knowledge. This is one of the few podcasts that is dedicated to helping people get started with a business from the ground up. 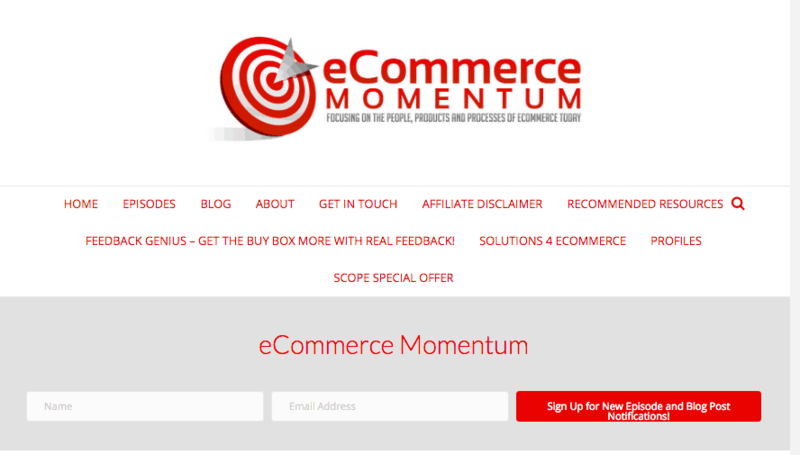 14. eCommerce Momentum Podcast - The eCommerce Momentum Podcast is dedicated to helping those eCommerce business owners that are struggling and are up against a wall. Here at eCommerce Momentum, they are experienced with helping other business owners identify where they are having the most trouble. By offering better strategies they are able to help their followers to be more successful. 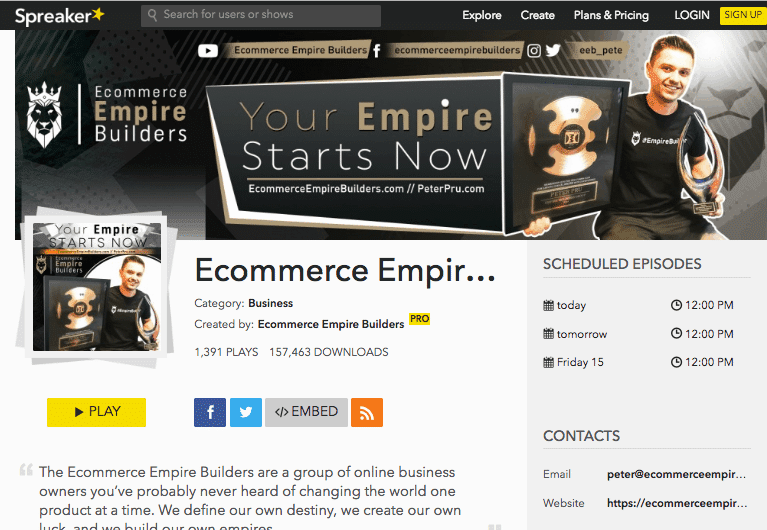 15. eCommerce Empire Builders Podcast - The eCommerce Empire Builders Podcast is part of a community of successful eCommerce marketers. They use the podcasts to help educate their followers in hopes to help as many people become as successful online business owners as they are. While each of the members of the community is extremely successful, they are relatively unknown even most marketing circles. 16. 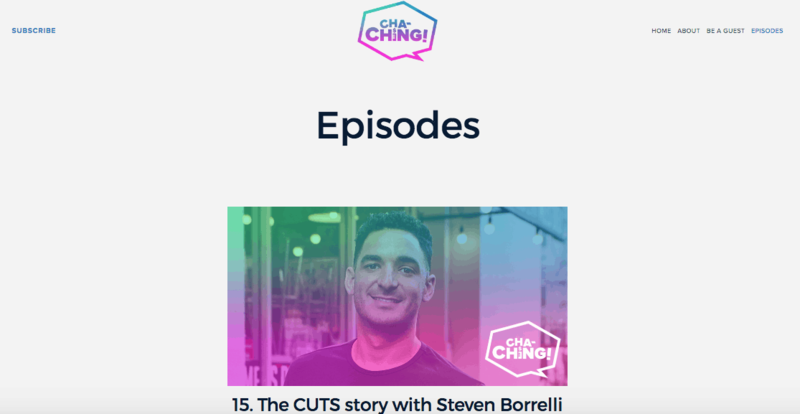 Cha-Ching Podcast - The Cha-Ching Podcast is a weekly podcast that features a host (Kevin Wild) interviewing successful eCommerce business owners, merchants and other highly knowledgeable people. Each of the interviews is designed to get answers to the most frequently asked questions in hopes to help their followers to be more successful themselves. 17. eCommerce Influence Podcast - The eCommerce Influence Podcast is a great resource designed to help educate the listener about how to improve their brand using techniques that are working today. Each podcast is designed to focus on one specific topic and a new one is being added to the website every week. 18. 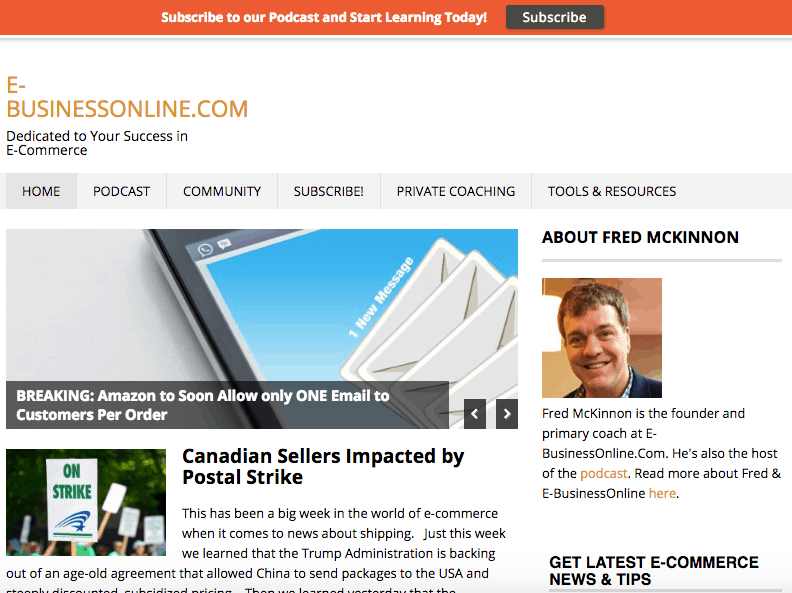 EBusinessOnline Podcast - The EBusiness Online Podcast is a powerful tool used by the host Fred McKinnon to help educate the listener about ecommerce marketing and growing an online business. Fred started out small and soon grew his business into a multimillion dollar online marketing powerhouse. He then decided to share his expertise with others and now he uses his podcast to reach many more people. 19. Titans of eCommerce Podcast - The Titans of eCommerce podcast is a powerful tool used by the host of the podcast, Brandon Breshears. 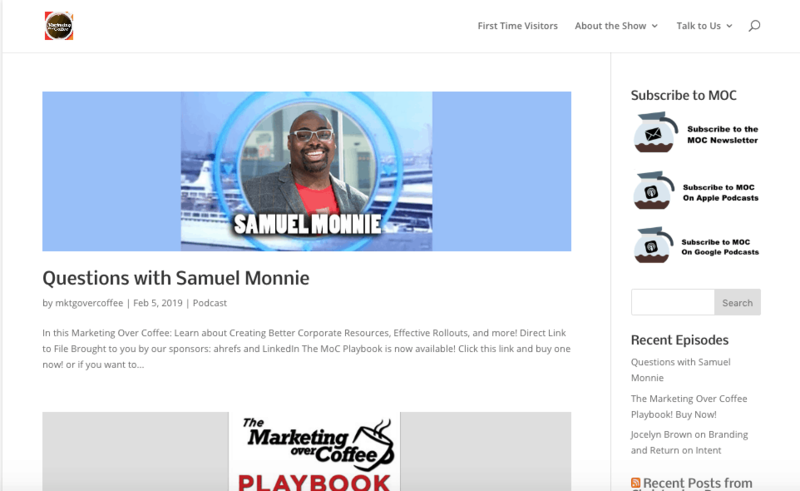 He uses the podcast to reach all of his followers to share his experience with growing business by selling products digitally. He has plenty of successful strategies and tips on branding and growing a brand really big. 20. EY Studio Podcast - The EY Studio Podcast is a weekly podcast that was created in hopes to help other entrepreneurs looking to make money from online marketing. After building a successful eCommerce business, Eric Yonge and his wife Gina put together a great resource for anyone who is looking for help in growing their business. 7 Response to "20 Best Shopify Podcasts"
This is next on my to do list, will check them all out. Amazing list you have here, I have actually checked a few from before and it’s amazing they made it to your list. Podcast has been growing popularity, since you have your own list I guess it’s time to get to know more about them. I like your articles, and your lists it’s really helpful.